On Sundays, my family is all together. We usually go grocery shopping or something. Since we are looking at houses to move in, to get closer to Barlow, (and the one we wanted sold last night) we decided to go look at more houses, well we fell in love with one! We all love it and it's awesome! It's not cracked up and stuff, it's my stupid camera. It's a very nice, new house! I'm very excited. We are crazy about entertainment books, we love them! 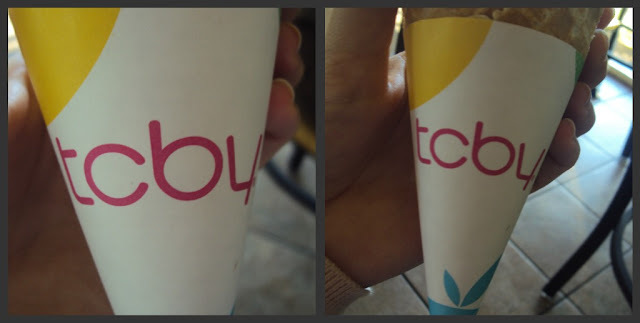 So we brought it along and found a few TCBY coupons. We were treated to a frozen yogurt afternoon! I had my eye on the rainbow cream for a little bit, so hard to decide. I loved it because of it's color. 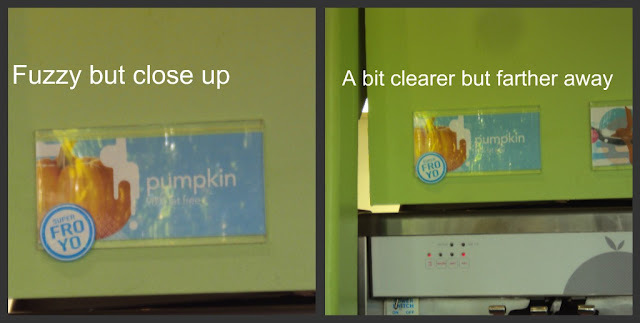 But I'm a sucker for soft serve. I scanned their flavors and they didn't have coffee! My favorite flavor! 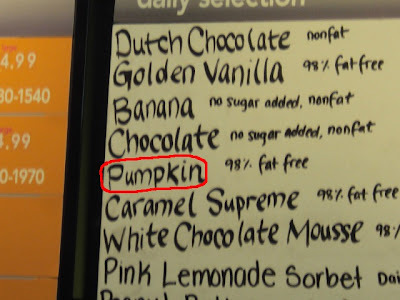 They did have PUMPKIN! 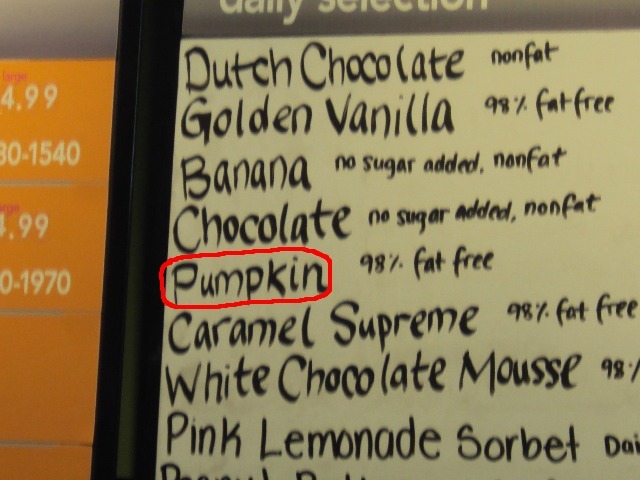 And in honor of the season, I did get the PUMPKIN!! They weren't squishy, surprisingly.... haha. All in all, today was awesome!